A promising young left-hander, Carney Flynn flunked three National League pitching auditions during the mid-1890s. Despite the brevity of his tenure, Flynn still managed to establish two enduring major league standards for pitching ineptitude: most baserunners allowed per nine innings (24.65), and highest ERA for anyone who pitched more than 30 innings (11.27).1 But on the positive side, Carney Flynn stands alongside 19th century baseball greats Amos Rusie, John Montgomery Ward, and Fred Pfeffer in a rather unique category: ballplayers who engaged imperious New York Giants club owner Andrew Freedman in litigation and emerged triumphant. At the end of a two-month long courtroom battle, millionaire Freedman owed Flynn the grand sum of $336. Unhappily for Flynn, by the time the judgment was collected, arm troubles had brought his pitching days to their end. For the next 50 years, he led a quiet bachelor life until passing away in early 1947. Carney Flynn made his major league debut on July 17, 1894, coming on in third-inning relief of starter Lew Cross with the Reds trailing the Cleveland Spiders, 5-1. Flynn kept the home side in the game until the Reds rallied to tie the contest in the fifth. Then, the roof fell in, as “Cleveland began to hammer Flynn, a young amateur [sic] who pitched the last seven innings.”11 A seven-run eighth inning outburst sealed a lop-sided 16-7 Spiders victory, and left Flynn with an unsightly pitching line of three strikeouts, five walks, 14 base-hits, and 11 runs surrendered in his maiden big league effort. Flynn resumed his professional career in 1895, signing with the Richmond Blue Birds of the Virginia League. Combined with Jesse Tannehill, another Cincinnati-area youngster discarded by the Reds,18 the two leftys dominated the circuit. By season’s end, Carney’s record stood at 25-9, while Tannehill went 22-10 for a Richmond club that cruised to the circuit pennant. “A gentlemen’s pitcher who had the batters always guessing,”19 Flynn led the league in wins and strikeouts (203), while posting a sparkling 1.54 ERA over 286 1/3 innings pitched. Such performance did not go unnoticed by major league clubs, and after the season, Carney’s contract was purchased by the New York Giants.20 The stage for his encounter with Andrew Freedman had now been set. Flynn showed well in Giants spring camp, leading “Eastern critics [to predict] that Carney Flynn will be the prize twirler of the league.”21 New York manager Arthur Irwin was another booster, describing Flynn as “a coming left-hander.”22 Then, tragedy struck the family. While visiting in Washington DC, Carney’s mother Kate suffered a fatal heart attack.23 Upon receiving the sad news, Flynn immediately left the club, setting off for Cincinnati to attend the funeral. But in the estimation of Giants management, he grieved too long and was thereafter docked four days pay.24 This resulted in a disagreement with Manager Irwin and Flynn’s suspension. The matter, however, was soon patched up,25 and Flynn returned to New York in time to turn in some wretched pitching. He lost two starts and pitched poorly in a relief appearance, as well. In 10 2/3 innings, he let in 22 runs (14 earned), and was soon summoned to club president Freedman’s office. In the off-season, it was reported that Washington intended to option Flynn to the Toronto Maple Leafs of the Eastern League.30 Or that Flynn would be loaned back to Richmond in order to get his arm in shape.31 In the end, Washington simply released him outright when he reported to spring camp.32 Although he was only 22, the major league pitching career of Carney Flynn was now complete. Appearing in nine games for three different teams (Cincinnati, New York, and Washington), he had failed to show a glimmer of his 25-win minor league form. His lifetime major league record of 0-5, with an 11.27 ERA in 38 1/3 innings pitched tells only part of a grim story. He walked 28 batters and hit eight more, while striking out only 11. Opposing hitters, meanwhile, torched Flynn for a collective .412 batting average, while reaching base more than half the time (.507 OBP). Ironically, Flynn himself had been a decent lefty hitter, batting .267 (4-for-15) with a home run, in limited opportunities. No evidence of a Flynn legal career has been found. And apart from some time in the early 1900s spent working in California oil fields, he never really left home. Flynn never married, and after his father’s death in 1902, Carney lived with his older sister Maggie and her family in the Flynn family residence. For most of his working life, Carney was employed as a clerk in the Cincinnati rail yards.37 When Maggie and her son moved to Toledo in the early 1920s, Flynn remained home, living quietly by himself. The end came in Cincinnati General Hospital on February 10, 1947. Death was caused by complications of gangrenous diverticulitis and a ruptured bladder.38 He was 72. Following funeral services, Cornelius Francis Xavier “Carney” Flynn was interred at St, Joseph New Cemetery in Cincinnati. Sources for the biographical information provided above include the Carney Flynn file maintained at the Giamatti Research Center, National Baseball Hall of Fame and Museum, Cooperstown, New York; the profile of Carney Flynn by Joe Heffron and Jack Heffron in The Local Boys: Hometown Players for the Cincinnati Reds (Birmingham, Alabama: Clerisy Press, 2014); Flynn family posts on Ancestry.com; US Census and Cincinnati City Directory data, and various of the newspaper articles cited below. Information about Flynn’s student days was supplied by Xavier University. Statistics have been taken from Baseball-Reference. 1 As per the Carney Flynn profile by Joe Heffron and Jack Heffron in The Local Boys: Hometown Players for the Cincinnati Reds (Birmingham, Alabama: Clerisy Press, 2014), 77. 2 The older Flynn children were Margaret (born 1864), John (1867), Thomas (1870), and Michael (1872). 3 Heffron and Heffron, 76. 4 As per 1885-1895 St. Xavier College student records. The writer is indebted to Jayne McIntosh, Information Services Specialist, Office of the Registrar, Xavier University, and Xavier University Archives Librarian Tim McCabe for tracking down and providing copies of records pertaining to Carney Flynn’s time at St. Xavier. 5 In the Philopedian Society’s December 1892 production of King Alfred: A Historical Drama of the Ninth Century, Flynn played the villain Edric, Earl of Essex. 6 As per the commencement program of St. Xavier College, June 28, 1893. School records suggest that Flynn may have taken post-graduate classes at St. Xavier, as well. 7 As subsequently reported in Sporting Life, July 7, 1894. During the early-season, the Mobile franchise was shifted to Atlanta. 8 As per the Boston Herald, July 18, 1894. 9 Heffron and Heffron, 76. 10 Cincinnati Enquirer, exact date unknown, as quoted in Heffron and Heffron, 76. 11 Boston Journal, July 18, 1894. 12 Cincinnati Post, July 18, 1894. 13 Ibid. The Cincinnati Enquirer also had kind words for Flynn and blamed the loss on Comiskey. 14 Heffron and Heffron, 76. 15 As per the Cincinnati Post, July 26, 1894. 16 As reported in Sporting Life, August 13, 1894, and the Baltimore Sun, August 18, 1894. 17 “Carney Flynn pitched a fine game … but was badly hit toward the last,” observed the Cleveland Plain Dealer, September 1, 1894, reporting a 20-15 Delphos loss to Findlay. 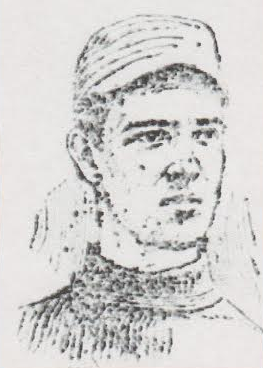 18 Tannehill, from across the Ohio River in Dayton, Kentucky, had gone 1-1, with a 7.14 ERA in a five-game trial with the 1894 Cincinnati Reds. 19 The description of Carney Flynn given by Richmond manager Jake Wells many years later. See The Sporting News, March 17, 1927. 20 As reported in Sporting Life, September 28, 1895. 21 New York Tribune, March 15, 1896. 22 Sporting Life, April 4, 1894. 23 As reported in the New York Herald, April 15, 1896, Sporting Life, April 18, 1896, and elsewhere. 24 As per Sporting Life, May 23, 1896. 25 As per Sporting Life, May 30, 1896. 26 As recounted in Sporting Life, June 27, 1896, and the Cleveland Plain Dealer, July 3, 1896. See also, Heffron and Heffron, 77. 27 As reported in Sporting Life, August 1, 1896. 28 When Freedman lawyers belatedly appeared and moved to vacate the default, all they got was a lecture from the court about timely attention to professional obligations. The judgment in Flynn’s favor stood. See Sporting Life, August 22, 1896. With court costs tacked on, the final sum awarded to Flynn was $336. A Freedman check in that amount was received by Flynn some two years later, per Sporting Life, August 8, 1898. 29 The Rusie case settled out-of-court favorably, while Pfeffer obtained a trial judgment, albeit one that would take him 11 years to collect from Freedman. Meanwhile, Ward himself employed the threat of litigation to motivate the National League Board of Directors to grant him his release from a reserve clause-based hold that Freedman had placed on Ward, his retirement from active playing notwithstanding. 30 As reported in Sporting Life, February 6, 1897. 31 As per Sporting Life, February 20, 1897. 32 See Heffron and Heffron, 77, and Sporting Life, April 3, 1897. 33 As reported in Sporting Life, April 10, 1897. 34 As per Sporting Life, October 23, 1897. 35 Sporting Life, January 29, 1898. 36 As per Sporting Life, May 20, 1899. 37 As reflected in the 1900, 1910, and 1920 US Censuses and Flynn’s WWI draft registration form. 38 As recorded on the death certificate contained in the Carney Flynn file at the Giamatti Research Center, Cooperstown.